232 pages | 70 B/W Illus. This book covers a variety of recent research on natural polymers, biomaterials, composites, and their applications. It provides valuable insights into the developments that arose with the merger between biological and polymeric materials that have led to many technological and commercial developments. The extensive research being conducted in the field of bio-based polymers will eventually lead to better health care, cleaner energy sources, and a safer environment for future generations. 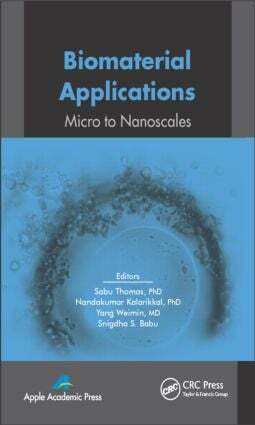 This book covers topics such as synthesis of novel biomaterials for application in varied fields, such as medicine, wastewater treatment, and polymer composites. It includes the most up-to-date research articles in the field of natural polymers and biomaterials reviewed by the competent researchers in the field. This book is intended for researchers in the fields of materials science, polymer chemistry, and applied biology.